DTP has had a focus on the rights of Migrant Workers since 2004, when it began its regional capacity building programs with Migrant Forum Asia (MFA). While migrant workers today are among the individuals most vulnerable to human rights abuse, the international standards relevant to them are among the least understood. Many migrant workers are forced to live in marginalised and vulnerable situations with uncertain protection under the law. They are often subject to intolerance and discrimination in the societies in which they seek to make a living. Human rights NGOs, women’s organisations, trade unions and national human rights institutions need to work together on these issues to have an impact. The 1990 Convention on the Rights of Migrant Workers and Their Families came into force in 2003 and augments the protection offered by other core human rights and ILO conventions. Remittances from migrant workers are the second greatest flow of funds in the world - far outstripping levels of ODA. The management and treatment of migrant workers represent one of the key policy and human rights challenges of the economically dynamic Asia-Pacific region in the 21st Century. This movement of people is vital to the economies of the region – both those of the destination countries and the countries of origin. The remittances of migrant workers are significant economic flows to many communities and to many national economies. For example, over 23% of Nepal's GDP is made up of remittances. Where policy and practice deny the rights of migrant workers, human traffickers often step in. Since 2004, regional capacity building programs have been held by DTP & MFA in Indonesia, Bangladesh, Malaysia, Cambodia, Philippines, Timor Leste, Thailand, Lebabon and Qatar. From 2009-2012, DTP and MFA worked in a formal partnership with the Asia Pacific Forum of National Human Rights Institutions (APF) to build capacity and collaboration. 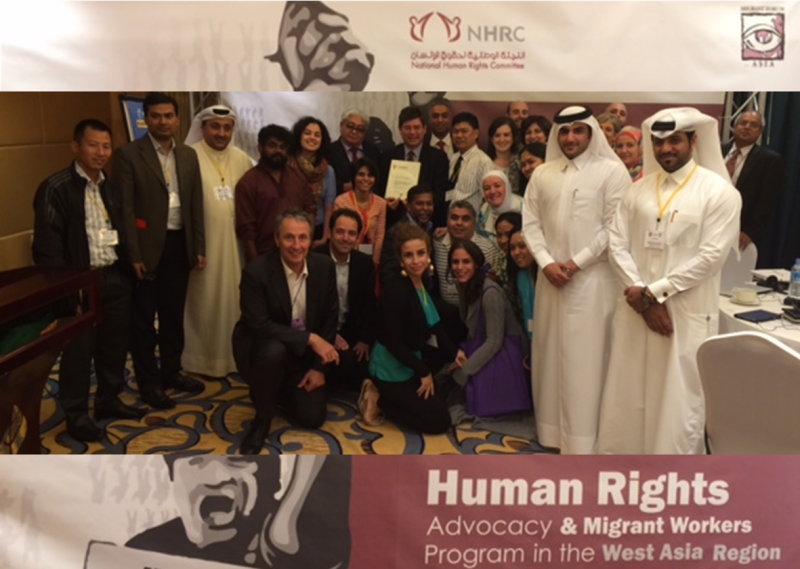 Since 2013, DTP held Migrant Worker's program in Sri Lanka, Bangladesh and UAE. DTP & MFA held the first capacity building programs in the Middle-East in 2012, bringing together participants from destination and receiving countries to build knowledge, skills and collaboration.